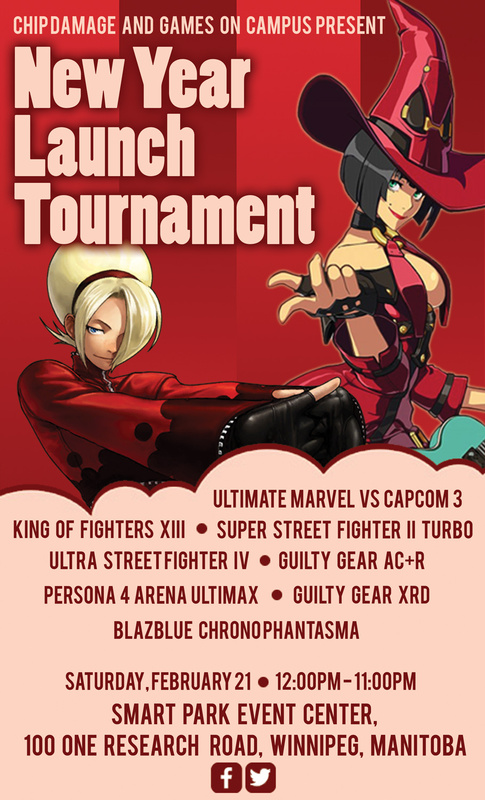 Chip Damage and Games on Campus is proud to launch our first tournament of the 2015 year! So get ready as there’s a lot of events planned for this year! As always, this is an all ages event. Regardless of skill-level, all players,spectators and fans are encouraged to attend socialize, support a friend, and enjoy some good old fashioned fighting games. Saturday, February 21, 2015. Tournaments start at 1:00pm sharp. Doors open at 12 noon. $5 Registration fee! $5 entry fee for each tournament entered.